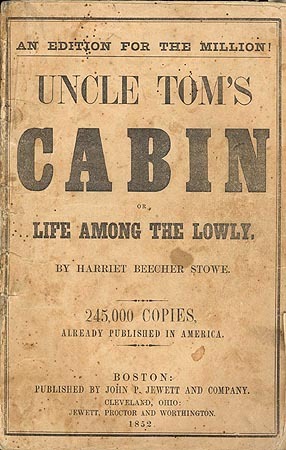 Join us for a discussion about Harriet Beecher Stowe's influential abolitionist novel, Uncle Tom's Cabin. Next year is the 100th anniversary of its publication, and we're joined by two scholars to take a closer look at the book's legacy, from the controversial character of Uncle Tom, to the abolitionist activism of Stowe. Join us for a discussion about Harriet Beecher Stowe’s influential abolitionist novel, Uncle Tom’s Cabin. Next year is the 100th anniversary of its publication, and we’re joined by two scholars to take a closer look at the book’s legacy, from the controversial character of Uncle Tom, to the abolitionist activism of Stowe. Annette Gordon-Reed, Winner of the 2009 Pulitzer Prize in History for her book The Hemingses of Monticello: An American Family. She is Professor of Law at New York Law School and Professor of History at the State University of New Jersey.